Y’all know I’m all about affordable fashion. Champagne taste on a beer budget? Yeah, my life. So I’ve learned to find pieces that are affordable yet trendy. And of course, functional and comfortable. Most of the time, I won’t spend more than $40-$50 on an item. And I would say 80% of the time, it’s less than $40. This goes for shirts, skirts, pants, jewelry, sweaters, etc. However, there are 3 items in my closet I’ll splurge on. They’re items that I will get a lot of use out of and items that I can justify spending more than I would on say a shirt or a skirt because I will wear them a lot. Jackets– Especially now that we’re back in the north, jackets are a must. For almost every season! They’re something I’m going to wear everyday and something that I not only wear to keep warm, but to complete the outfit. 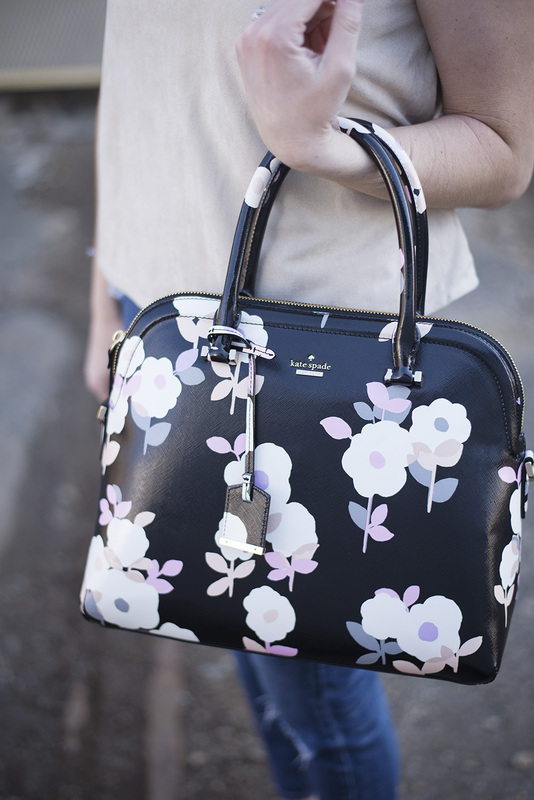 Purses- The purse obsession is real. Back in the day, I was all about Coach purses. Eventually, I worked my way up to Kate Spade, Michael Kors, Marc by Marc Jacobs and Louis Vuitton. I’ve only every purchased a handful for retail price. 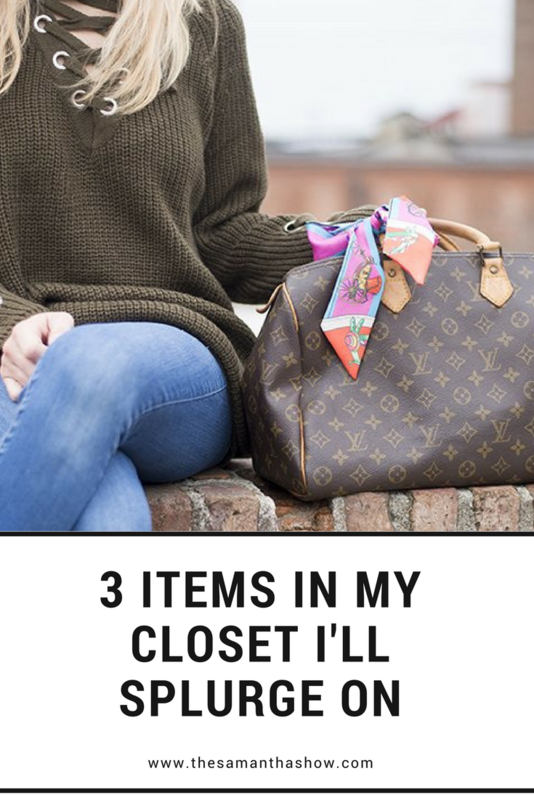 The rest I have found on pre-owned websites like The Real Real, ThredUP, Poshmark, Pretty Things Hoarder, etc. I don’t switch them out often and usually use the same one for a couple of months at a time. Unless of course I’m going to a special occasion and need to match it to my outfit. 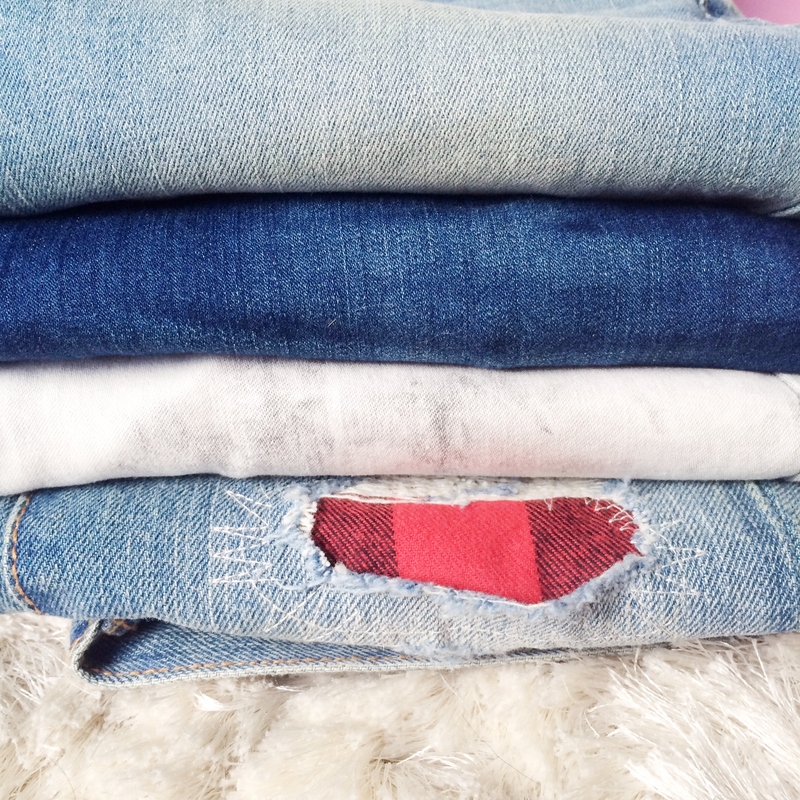 Jeans- I would say this is a semi splurge because I still don’t spend over like $80 on jeans. I have found so many affordable ones I love at Target and Express but recently, I’ve been introduced to other brands through Stitch Fix and some collabs, and I’m learning that finding a comfortable pair of jeans may mean a higher price tag. I will always try to find the best deal possible and obviously, spend as least money as I can. But if it comes down to a purse, jacket, or pair of jeans I really love, I don’t feel as guilty about spending a little more. 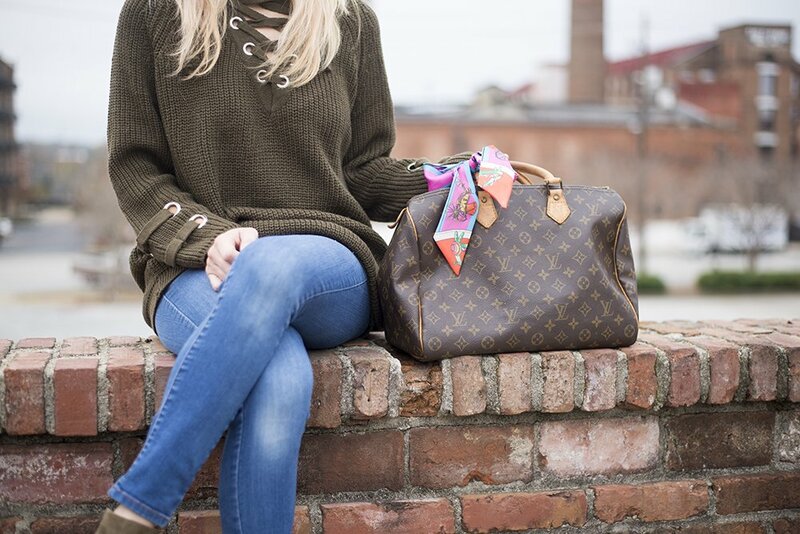 What are some items in your closet you’ve splurged on?